Spring Earrings, Silver Jewelry, Silver Jewellery, Silver Earrings, Spring Shoots Earrings. 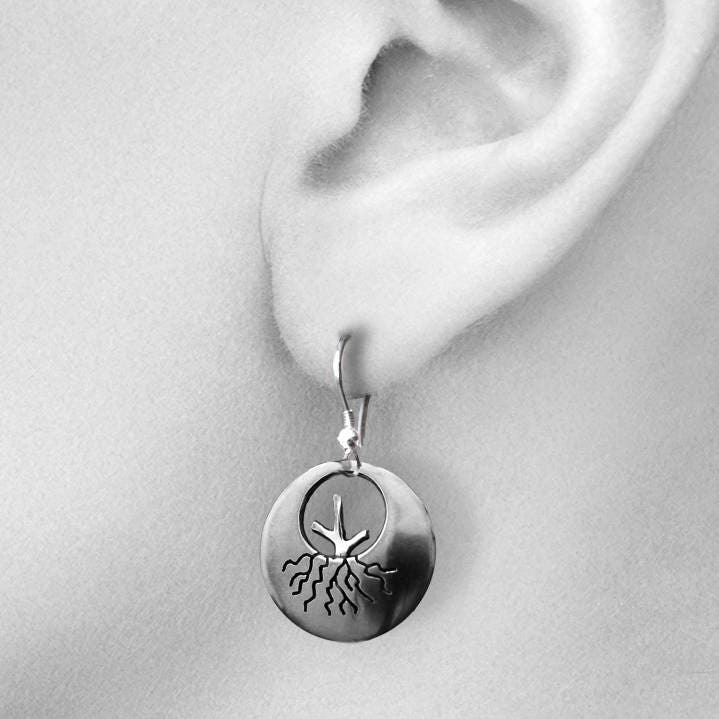 Sterling silver 'Spring Shoots' earrings. Beautiful, lustrous dark patina and sparkling 'shoots' with a burnished edge. 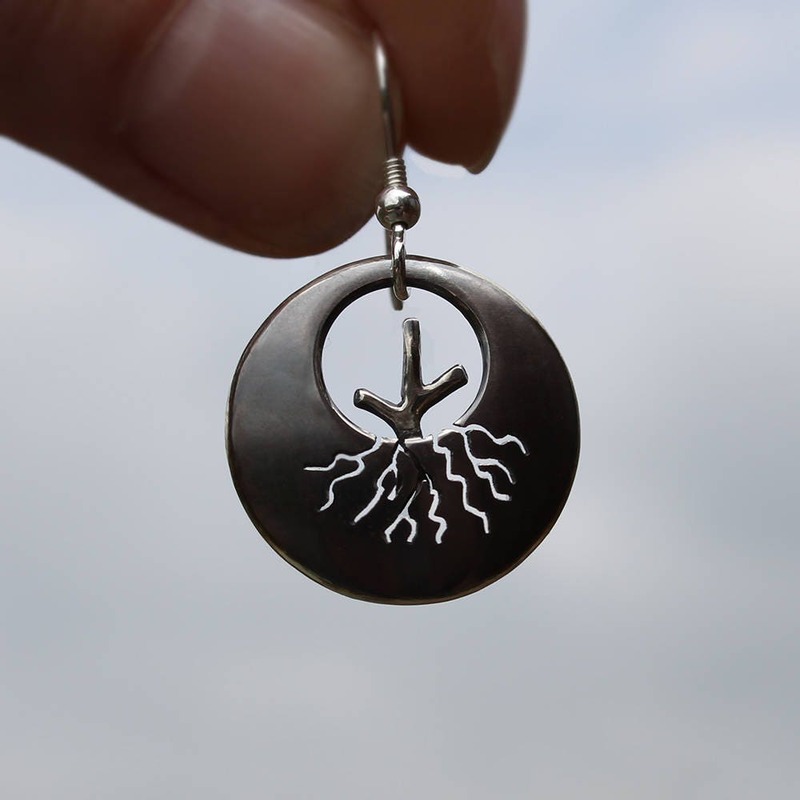 Spring Shoots emerge from the soil with strong nourishing roots. 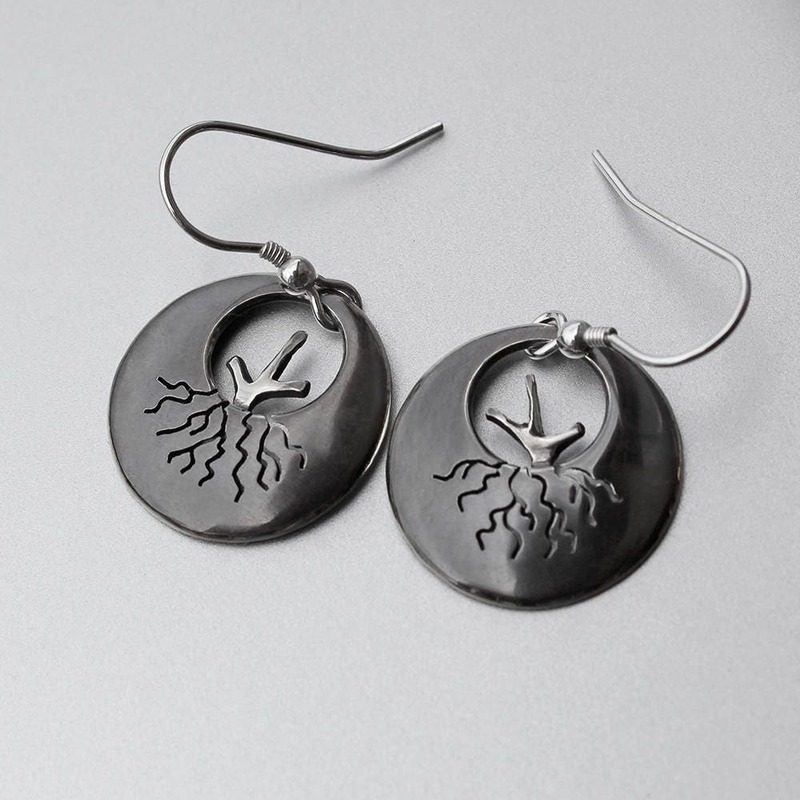 The earrings are suspended on French style sterling silver ear wires. Very pretty, small and light, 3 cm (just over one inch) in length including wire. Diameter 2cm (0.8 inch). Your earrings are made to order and will vary slightly from the photograph. This is the beauty of original handmade jewellery. 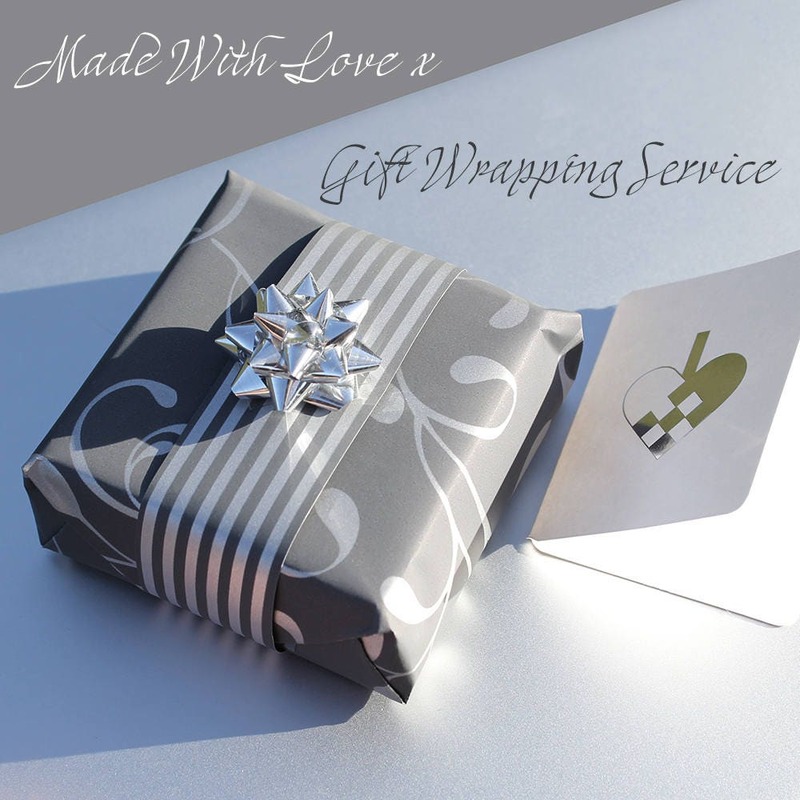 You will receive your jewellery in an elegant presentation box.